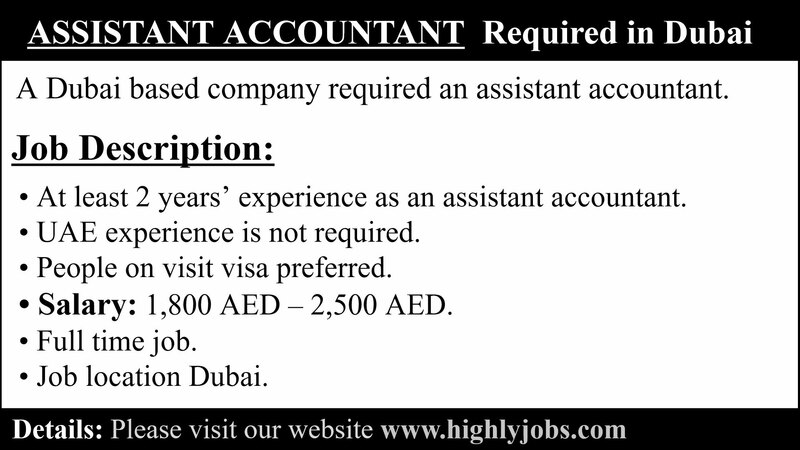 · At least 2 years’ experience as an assistant accountant. · UAE experience is not required. · People on visit visa preferred. · Salary: 1,800 AED – 2,500 AED. Send your updated resume on the following given WhatsApp number.